Family Life was Adam Harvey’s eleventh album and fifth for Sony-Australia. The album reached #10 on the ARIA chart and was released in August 2014 on the heels of Adam’s most successful album The Great Country Songbook, a duet album with Troy Cassar-Daley that reached #2 the year before. The album features nine songs from Adam’s pen, plus three from American writers. Next up is “Do The Best You Can”, a Bob McDill composition, a nice ballad. This is followed by another McDill song, “She Don’t Know She’s Beautiful” which was a #1 hit for Sammy Kershaw in 1993. Adam turns in a solid performance with an arrangement faithful to Kershaw’s hit but with more percussion. Harvey continues the focus on matters domestic with “Kids”, a rollicking up-tempo ballad about life with kids, “Count On Me”, a tender ballad of reassurance to the singer’s woman, and “My Little Boy”, a paean to the joys of watching his son grow up. Harvey gets a bit off track from his domestic bliss theme with “One Full Bottle of Rum”, a mid-tempo ballad about a night of catching up with an old chum. “Mere Male” features Randy Kohrs on dobro on a largely acoustic up-tempo romp about the dumb things that guys do. The song is a hoot and I wish someone in the USA would record it. What does one truly need in life? According to Adam Harvey the answer is “Sweet Sweet Love”. This song is a romantic ballad taken at mid-tempo and definitely qualifies as a love song to the singer’s woman. The album concludes with the contemplative “You Are On My Mind”, performed as an acoustic ballad, with large parts of the song featuring just Adam and an acoustic guitar, joined in later with a lonesome fiddle played by Mick Albeck. We were recently reminded that Kevin Moon (whose Throwback album was one of my favourites of last year) had released new music. One of my minor gripes with that album was that it consisted of rather well worn material, and here he tackles new or lesser known songs. It turns out to be halfway between an EP and a full length album, with eight tracks, and as far as I can see is only available digitally. ‘What If She Don’t’ is a nice love song with the protagonist unsure whether the object of his affections understands the depths of his love. He then explains it to her in the attractive ‘Girl That’s How’. ‘Cowgirl’s Gonna Dream’ is a sweet song about an ordinary Tennessee country boys who manages to land a Texan cowgirl as his wife. ‘Scarecrow’ is an anthroporphic description of the farmer’s friend, and has a certain charm. The relaxed ‘Blue Agave Shore’ dreams of a Mexican vacation but settles for a back porch. There are a couple of covers, both from the 1970s. Eric Clapton’s romantic ‘Wonderful Tonight’ works surprisingly well as a country song, and has been done by country artists before – David Kersh (now largely forgotten) had a top 20 hit with it in the late 90s. Kevin’s version is tender and convincing, and really very good. ‘Daddy What If’, written by Shel Silverstein, was a hit for Bobby Bare and his 5 year old son. Kevin recruits his three year old, Weston, to sing the child’s part on this rather twee tune. The little boy has a vague approach to pitch, but the overall effect is rather sweet. Moon has an attractive voice, and while this album has a more modern sound than Throwback, it is still solidly country. A couple of extra songs would have been welcome, but it’s still a worthwhile release. The double-titled 1971 album The Taker/Tulsa was released in 1971. Waylon was starting to take control over his music, and this was the first album he produced himself. The songs are full of substance and the arrangements solid. Damned if he won’t do her wrong. Takin’ all of her pride when he goes. It was one of no less than four outstanding songs written by Kristofferson, then a relative newcomer to Nashville, and which help to make the album as a whole cohesive. Waylon’s version of the regretful ‘Sunday Mornin’ Comin’ Down’, a very recent hit for Johnny Cash, is convincing, with the song well suited to him. Less well known at the time, but at least as much of a classic today, was ‘Lovin’ Her Was Easier (Than Anything I’ll Ever Do Again)’, which Kristofferson was about to make a hit of in his own right. Waylon’s version is as good as any of this modern standard. The least familiar of the Kristofferson songs for most listeners (although it has still been recorded a number of times) is ‘Casey’s Last Ride’, which may be the only country songs to be set on the London Underground, and may have been written when Kristofferson was studying at Oxford in the late 1950s, although the gloomy melody sounds to me to be influenced by the Beatles and other British 60s artists, which would place its composition later. It’s a fine song which was a top 20 hit for Waylon, and should be better known. The last single, another top 20 hit, was Red Lane’s ‘Mississippi Woman. A brooding tale of jealousy, the narrator spies on, and eventually murders, the object of his affections. Also downbeat in mood is ‘Grey Eyes You Know’, a string-laden lament by a bereaved husband for the beloved wife who stood by him through all the bad times. A brisk cover of Don Gibson’s ‘(I’d Be) A Legend In My Time’ does not work as well for me as either the original or Ronnie Milsap’s big hit a few years later. Waylon write one song, the post-breakup ‘You’ll Look For Me’, which is quite good but not that memorable. 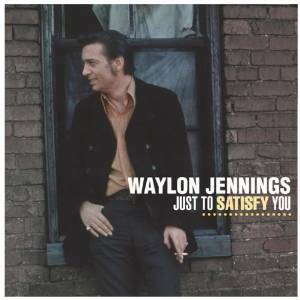 Overall this was an excellent album which shows Waylon stretching himself and asserting himself as an artist. Nothing more typifies the Outlaw Movement in country music than the multi-artist compilation Wanted! The Outlaws in 1975. One of the singles from that album was a live version of ‘Good Hearted Woman’, written and sung by Willie with his good friend Waylon Jennings (who had already had a solo hit with the song). That #1 hit was followed a few years later by a full length duet album by the pair in 1978. In many ways it is quite an experimental modern sounding record, with the artists given full creative control. They produced the record together, and generally swap lead lines on most of the songs, with a handful of solos. 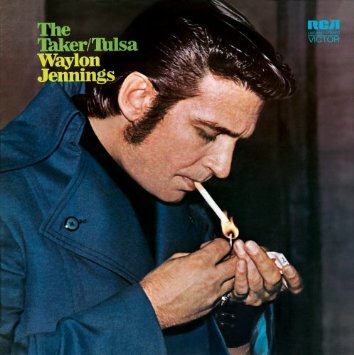 ‘The Wurlitzer Prize (I Don’t Want To Get Over You)’ is one of those exceptions, with a solo vocal from Waylon. If it seems curious that this served as the album’s first single, it may be explained by the fact that the record was released on RCA, to which Waylon was still signed as a solo artist. It was written by soul songwriter/producer Chips Moman (who also wrote Waylon’s iconic ‘Luckenbach, Texas’). It’s not really a favourite of mine, more for the rather tinny sound of the eponymous instrument then for the song itself, which has quite a nice melancholic feel. It perched at the top of the Billboard country singles chart for two weeks. The next single and another #1 hit was a genuine duet, and is much more to my taste. ‘Mammas, Don’t Let Your Babies Grow Up To Be Cowboys’, written by Ed Bruce and his wife Patsy, became a favourite live tune for the duo. The singalong chorus may sound celebratory, but the verses make this rather a wistful song about the complex characters of men drawn to the cowboy life, with an ironic undertone not dispelling the sense of a wearied honesty which imbues the song. ‘I Can Get Off On You’ is a quirky love song co-written by Waylon and Willie saying the woman in question is better than various drugs or alcohol. The cheerful laundry list of illegal substances the protagonist has clearly experienced in volume in the past might make this hard to get past radio gatekeepers nowadays, but things were more relaxed in some respects in the late 70s, and it was another chart-topper for the duo. Willie’s solo version of the intense ‘If You Can Touch Her At All’ peaked at #5. The song, penned by Lee Clayton, is about a relationship with a woman by turns passionate and prudish. George Jones later covered it as a duet with Lynn Anderson, but it works better seen solely from the man’s standpoint. A couple of the songs from Phases And Stages make an appearance here in duet versions. The travelling musician’s theme song ‘Pick Up The Tempo’ works well on this project, while ‘It’s Not Supposed To Be That Way’ is lovely. Also great, ‘A Couple More Years’ is an excellent serious song about maturity, written by Dennis Locorriere and Shel Silverstein. Both Willie and Waylon are at their best vocally here. Waylon takes the lead on ‘Lookin’ For A Feeling’ which is a bit dull. Even more boring is ‘Gold Dust Woman’, a Fleetwood Mac cover sung by Waylon solo, without much melody. It was omitted from the first CD reissue of the album in 2002, along with two Kris Kristofferson songs. ‘Gold Dust Woman’ is no loss, and ‘The Year 2003 Minus 25’ with its apparently prescient depiction of a war with the Arabs over gas (presumably inspired by the repeated gas crises of the 70s) makes for uncomfortable listening. make sure you get the full length album including this song. Amusingly they then throw in a few lines from Waylon and Willie’s hit duet ‘Good Hearted Woman’ as the track comes to an end. The album was incredibly successful for the period, and has now been certified double platinum. Two less successful sequels, WWII and Take It To The Limit, emerged in 1982 and 1983 respectively, the former with Waylon at the fore, the latter focussing on Willie. But the first of their three duet records is by far the best. From the biography on Tillis’ website. Texas journalist and noted music critic John Morthland once described Mel Tillis as a journeyman country singer, intending it as praise. While he never quite reached the top echelon of country music stardom, he had a long and distinguished career as a singer and songwriter, writing many hits for other artists and having many hits of his own. His compositions continue to be performed and recorded today and he has left an additional legacy in the form of daughter Pam Tillis, an excellent singer in her own right, and Mel Tillis, Jr., who works mostly behind the scenes as a record producer. Lonnie Melvin “Mel” Tillis was born in Tampa, Florida on August 8, 1932. His stutter developed during childhood, the result of a near-fatal bout with malaria. As a child, his family moved frequently around the Tampa area, but sometimes further as in the family’s 1940 move to Pahokee, FL, on the southeastern shore of Lake Okeechobee. In high school he learned to play drums, marching with the Pahokee High School Band. Later he would learn to play the guitar. In late 1951 Tillis joined the United States Air Force. It was while in the Air Force that he started songwriting. One of his first songs was “Honky Tonk Song,” which became a major hit for Webb Pierce in 1957. While stationed in Okinawa, he played at local nightclubs with a band he formed called The Westerners. After leaving the military in 1955, Tillis worked at various jobs. At some point he met Buck Peddy, who briefly served as his manager. Peddy and Tillis moved to Nashville in 1956. Initially unsuccessful at landing a writing deal, Tillis met Mae Boren Axton (writer of “Heartbreak Hotel”) who put in a good word for him with Jim Denny at Cedarwood Publishing. The first hit out of the box was “I’m Tired,” a song which was pitched to Ray Price. According to Tillis’ autobiography, Price wasn’t ready to issue a new single at the time the song was pitched to him by Buck Peddy but Webb Pierce heard the song and wanted it. Pierce only heard one of the verses so he had Wayne Walker write an additional verse and that’s the version that became the hit. Tillis only received a third of the royalties on this particular song, but it was a start. Unfortunately, it was also the start of a pattern; for the next few years he would suffer the addition of “co-writers” to most of his recorded songs, the chief culprits being Buck Peddy and Webb Pierce (a practice not uncommon at the time). In 1958, Tillis finally secured a recording contract with a major label, landing on Columbia Records. That same year he had his first Top 40 hit, “The Violet And A Rose,” followed by the #27 hit “Sawmill.” Unfortunately, while he made many fine recordings for Columbia, his singing career failed to catch fire. His records mostly charted but there were no big hits. During this period other artists continued to record his songs, both as hit singles, and as album tracks. From Columbia, he moved to Decca from 1962-1964. In 1966 he moved to Kapp Records where he made many noteworthy records. In fact his first recording for Kapp had him performing on a Bob Wills album. “Wine” finally cracked the Top 20 for Tillis (#15), followed by “Stateside” (#17), “Life Turned Her That Way” (#11), “Goodbye Wheeling” (#20), and finally in 1969 that elusive Top 10 record, “Who’s Julie” (#10). After “Who’s Julie” the hits came easier as “Old Faithful” (#15), “These Lonely Hands of Mine”(#9), “She’ll Be Hangin’ Around Somewhere” (#10), and “Heart Over Mind” (#3) followed in quick succession. The Kapp years also found Tillis becoming more of a presence on television, first as a regular on the Porter Wagoner Show, and later on the Glen Campbell Good-Time Hour. He also guested on various other television shows. Tillis left MGM for MCA in 1976 where the string of hits continued, albeit more heavily produced records with more strings, keyboards, and background singers and far less fiddle and steel guitar. The string of hits continued. He scored nine Top 10 records, including four #1 records in “Good Woman Blues,” “Heart Healer,” “I Believe In You,” and the infamous “Coca-Cola Cowboy.” At #2, “Send Me Down To Tucson” just missed reaching the top on Billboard. A switch to Elektra in late 1979 saw Tillis rack up five more Top 10 singles, including the 1981 #1 “Southern Rain,” but by the end of 1982 his run as a high charting artist was over. There was one last Top 10 record, “New Patches” (released on MCA in 1984). He continued to record for a few more years, releasing an album for RCA in 1985, but eventually he faded off the major labels except for reissues and compilations. Tillis had about an 18 year run as a top charting artist. He won many BMI awards, including Songwriter of the Decade. In 1976 he was inducted into the Nashville Songwriters International Hall of Fame and that same year he was a surprise winner of the Country Music Association’s (CMA) Entertainer of the Year, beating out Waylon, Willie and Dolly for the honor. In June of 2001, he received a Special Citation of Achievement from BMI for three million broadcast performances of “Ruby, Don’t Take Your Love To Town.” He received two long-overdue recognitions in 2007 as he was finally inducted as a member of the Grand Ole Opry in 2007 (his daughter Pam performing the ceremony), and in October 2007 he was elected to the Country Music Hall of Fame. Along the way Tillis recorded more than 60 albums with 36 top ten singles, appeared on numerous television shows, starred in several movies (Cannonball Run, Cannonball Run II, Smokey and the Bandit II, The Villain, W.W. and the Dixie Dance Kings, Uphill All The Way and Every Which Way But Loose) as well as several television movies, including Murder in Music City and A Country Christmas Carol. Although it has been more than two decades since Tillis was a regularly charting artist, he has been anything but quietly retired. In 1998, he combined with old friends Bobby Bare, Waylon Jennings, and Jerry Reed to record a two-album set, written entirely by another old friend, Shel Silverstein, titled Old Dogs (later condensed into a single disc). Also in 1998, he recorded his first gospel album titled Beyond The Sunset and served as spokesman and honorary chairman for the Stuttering Foundation of America. In recent years he has recorded a Christmas album and a comedy album. He continues to tour occasionally and for years he had his own theater in Branson, MO (1994-2002). He has since sold the theater, but still appears there during the holidays. He records only occasionally and enjoys life. He is an avid fisherman. In February 2012 he received the National Medal of the Arts, presented to him by President Obama. It really is tempting fate for any artist, particularly one who is past his or her commercial peak, to entitle an album Better Than I Used To Be, because (almost always) it begs a negative answer. Rich-voiced 90s star Sammy Kershaw has been away from the charts for a while, most recently concentrating on a venture into Louisiana state politics. His new album is on an independent (possibly self released) label, Big Hit Records. However, while I don’t think Sammy’s music is “better than it used to be”, the new album stands up pretty well against his back catalog. There are no obvious hit singles here, but Sammy is still in fine voice, and Buddy Cannon’s supportive production is excellent, and undoubtedly country. But he acknowledges this is a work in progress in this lovely, mature song. A video was made to support this song as a single earlier this year, and it is a shame it failed to make many waves. Equally good is the subdued sadness of ‘Like I Wasn’t Even There’, written by Wes Hightower, Monty Criswell and Tim Mensy. The protagonist runs into his ex for the first time since the breakup, and is ignored as though their relationship never existed. A country song discussing the double standards of sexuality in gender roles wouldn’t be a novel concept today, but it sure was in 1972. Coming on the back of the Feminist and Civil Right movements of the mid to late 60s, many of Loretta Lynn’s lyrics were anthems of empowerment for the modern women of the time. Perhaps none were more direct in their questioning of the status quo than the self-penned ‘Rated X’. Released as the only single from her 1973 album, Entertainer of the Year, sent out after Loretta became the first woman to ever win the CMA’s coveted trophy, ‘Rated X’ would find itself banned by a handful of country stations. But like many of Lynn’s earlier banned hits, the controversy only helped to propel the song up the charts all the way to the top, and the talk even sold a few records. Whether she knows it or not, today’s modern woman owes a great debt of gratitude to Loretta Lynn and her trailblazing efforts. ‘Rated X’ is available as a digital download from amazon and other retailers.